One of the strangest vehicles ever to develop a cult following, the Vehicross is seen on the road about as often as stargazers see Halley's Comet. 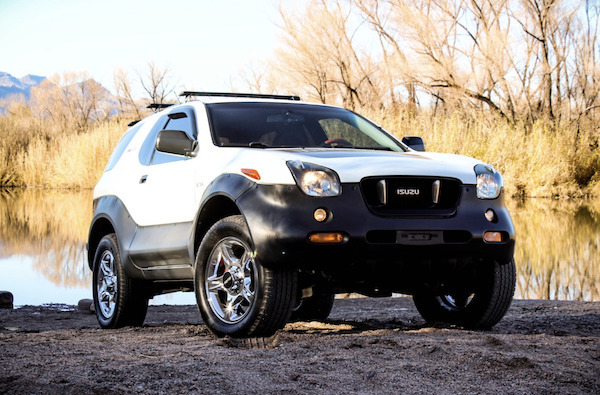 The Isuzu Vehicross debuted in the United States market in 1999, which would be the final year of Isuzu's market share growth in the States. It was a flop—the kind that gives automotive execs nightmares. 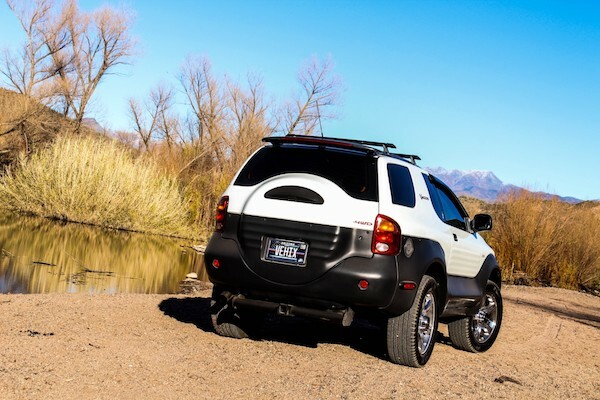 Between 1999 and 2002, when the Vehicross was liquidated from dealers, a mere 4,153 were sold, according to Car Sales Base, which we suspect to be due in part to the vehicle's unique appearance, like that of a Nissan Juke fed a sour candy. Being based on the far more popular Trooper did little to inflate sales of the Vehicross as the Trooper outsold it 14 times over in the same period. In the decade and a half since the Vehicross was axed, we can only assume many have succumbed to the cruelty of crashes and Cash For Clunkers, making the Vehicross the metaphorical great white whale for many car spotters and interested buyers alike. On Monday, however, the whale surfaced for air—a Vehicross popped up on Bring A Trailer. The Vehicross in question is one of the 1,000 "Ironman Edition" cars produced, named for the triathlon, not the Marvel character. The package included a different interior, upgraded shocks, a roof rack, and an embossed hood decal. It rides on 18" chrome wheels from the factory, showcasing the glitzy style of mid-2000s car modification made famous by Pimp My Ride, but preceding the TV show by half a decade. 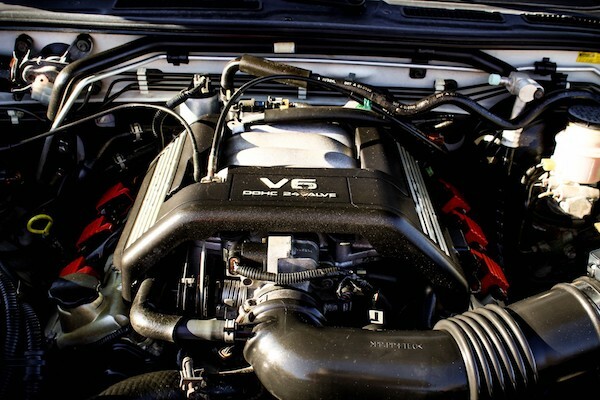 There are a mere 104,000 miles on the car, and the stout 3.5 liter V-6 and Borg Warner four-wheel-drive system can take much more than this, as can any semi-modern car, provided it is maintained well, though it sounds like the timing belt is not long for this world. Interested parties can make an offer on the car at the link above, but be warned, a bidding war is likely. 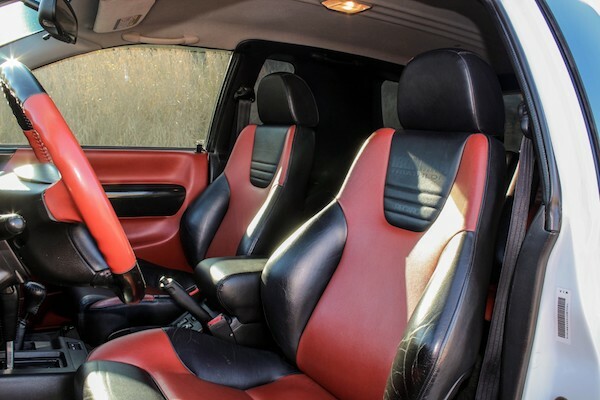 The high bid spiked to $4,250 within 24 hours of being listed, and excited Vehicross enthusiasts may well drive the price further skyward by the time the auction ends next Monday. All it took for this 2000 Isuzu Rodeo to reach 392,184 miles was a big IOU from Joe Isuzu. Unfortunately you can only buy it in the UK.